As cities expand, concrete jungles and actual jungles are no longer realms apart. While over 600 different species of wildlife call New York City home, humans have a greater chance of encountering certain wildlife species than others. 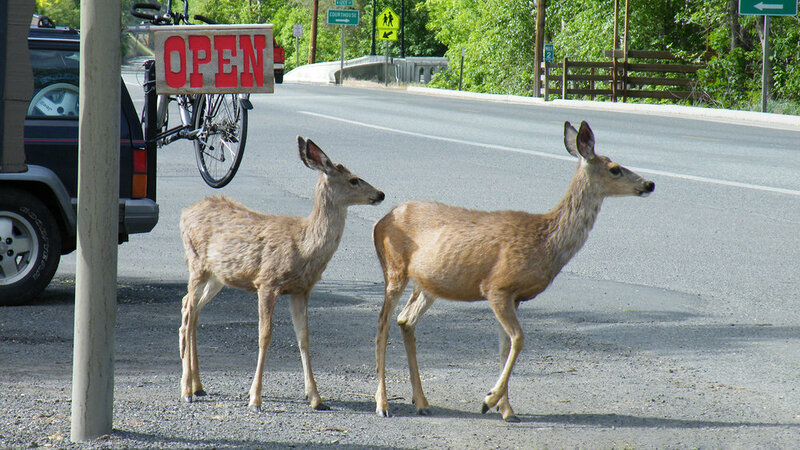 Whether it is a deer wandering across the road or a raccoon looking for something to eat, the possibility of a wildlife encounter exists every day and around every corner. 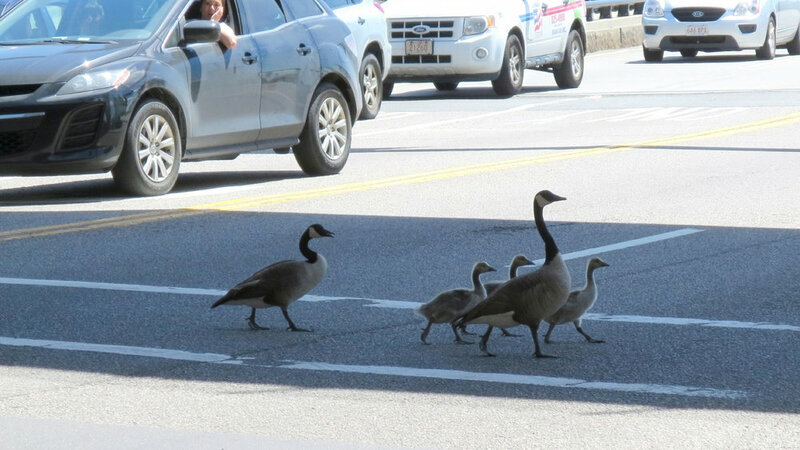 We need a better way to learn in depth about how to enjoy and coexist with urban wildlife. The WILDEYE platform features eight species. 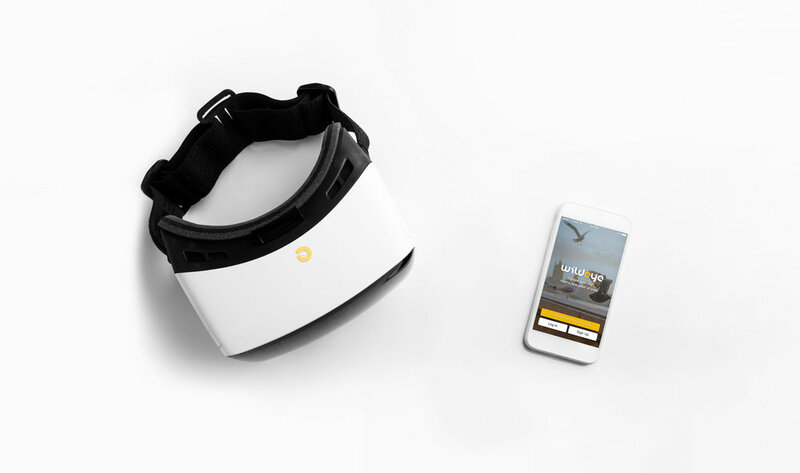 After users choose a specific one, they put on their VR devices and enjoy a live-stream of the animal’s view. After each experience, users get the opportunity to support the urban wildlife foundations by donating to the cause. Animal care experts put micro cameras and navigation trackers on rescued animals. 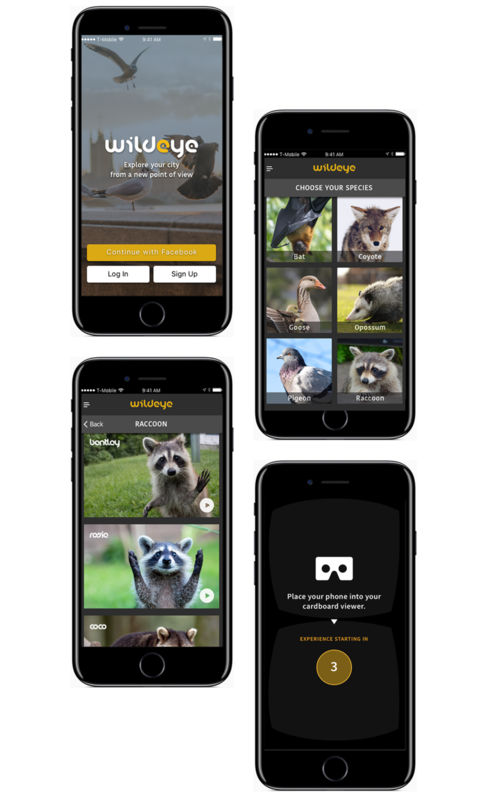 This allows users to see what an animal’s life is like and get to know the difficulties that they experience living in an urban area. 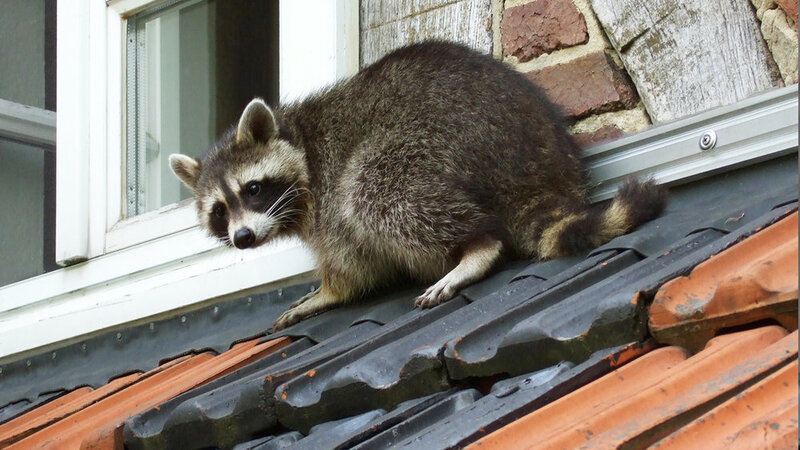 WILDEYE cooperates with local urban wildlife rescue organizations to help them gain more business opportunities. In this way, animals and humans can live together in a mutually beneficial way. 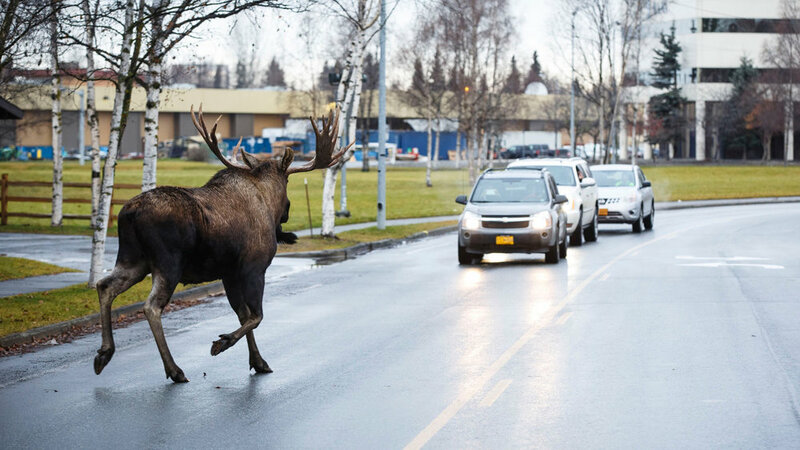 Humans make space for the animals in return for a new perspective of the city. In order to understand what users truly need (promote empathy) and envision the future of this APP, I built scenarios around my two users- Nick and Sam. Then, I created a low-fidelity version rendering of my initial idea. At the early stage of this project, I created a moodboard to help evoke an ideal style and concept of the APP. 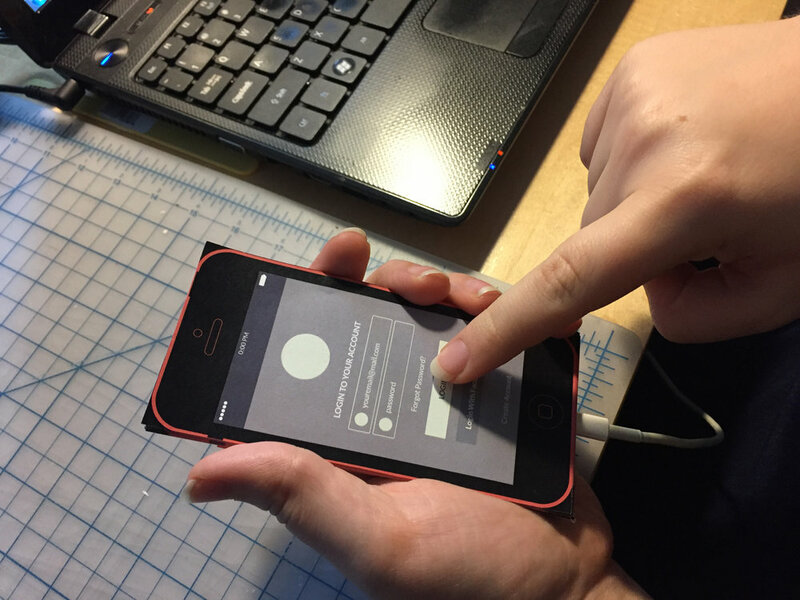 As part of the Design for Screens course with Brent Arnold, I revisited the app sprint from last semester, conducted small-scale user testing, and made edits based on the feedback.